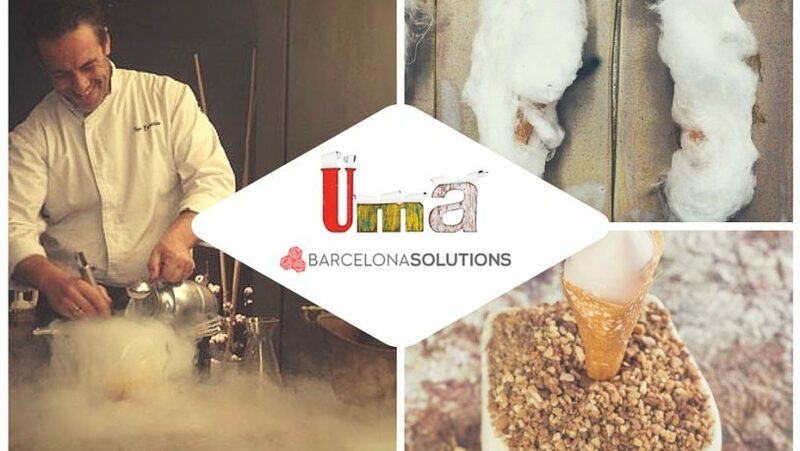 Currently TripAdvisor’s highest ranking restaurant in Barcelona, UMA is tucked away on an unassuming road in the Sants neighbourhood. It is run by renowned Spanish chef Iker Erauzkin and his partner Anna Yébenes. In a pleasant, intimate setting, diners experience a tasting menu of 12-14 courses, bursting with adventurous and delicious food combinations. Just to be clear: UMA is about as far from a convenient, disposable dining experience as you can get. You’ll probably need to book 1-2 months in advance, unless you’re lucky enough to get a cancellation. Then there’s getting there: the restaurant has minimal signage, there’s no parking and even some of the taxi drivers struggle to find it. You’ll need to arrive on time, because all the dozen or so diners eat at the same time. If you’re late, you’ll keep everyone else waiting. But don’t be early either – the lunch menu begins at 1:30, and that’s pretty much when the doors open. Also, although ‘menu’ usually implies a choice, that’s not the case here. Everyone eats the same food. Finally, when its time to pay, you need to have brought cash. UMA doesn’t accept credit cards. However, before you write all this off as too much hard work, think again. What UMA is offering in return is pretty special. UMA’s oddities all contribute to an unusual, interesting, memorable dining experience. The restaurant’s tiny size, for example, gives a uniquely cosy, intimate atmosphere. Diners feel more like dinner guests at a friend’s house; the amuse bouche is taken in the kitchen. The set meal makes you engage with new flavours and textures, preventing you from retreating into safe choices (however, note that the needs of vegetarians and pescatarians are accommodated when you book). The sheer length of the service – you should allow around three hours – gives you time to think about, discuss and digest each course properly. To say that diners rave about the food is an understatement. Trip advisor reviewers wax lyrical about chef’s ‘unbelievable creativity, flavour and pure wackiness’. Eating there is ‘a true adventure in dining’ and ‘an absolute gastronomic feast’. More than one reviewer describes UMA as the best restaurant they’ve ever eaten in, and some refer to Chef Erauzkin as the best in Europe. So what’s actually on the menu? It’s certainly possible to find out in advance, but in this instance that might be a shame. If UMA is all about the journey, well, sometimes it’s nice to be surprised along the way. We’re with those many diners who suggest that a detailed description of each course would only detract from your visit. There’s no doubt that Chef Erauzkin is a passionate, innovative and highly accomplished chef. Together with Anna, he has created an eating experience that almost everyone would regard as memorable, for all the right reasons. The difficulties in finding UMA will probably disappear when the restaurant moves to a more central location shortly. It would be nice if some of the other idiosyncrasies remain. Yes, there are more convenient eating experiences, but maybe we shouldn’t complain about getting our knees dirty when were picking up diamonds. With prices set at an incredibly reasonable 65 euros (allow for wine on top), we think you should make the effort on your very next trip.